My hair care has never been the best and I rarely do experiment with various hair products. The past 23 years of my life involved me using whatever I find in the bathroom (aka what my mother or sister is using). So far, I've tried brands that can be easily found in any drugstore and they've worked well. 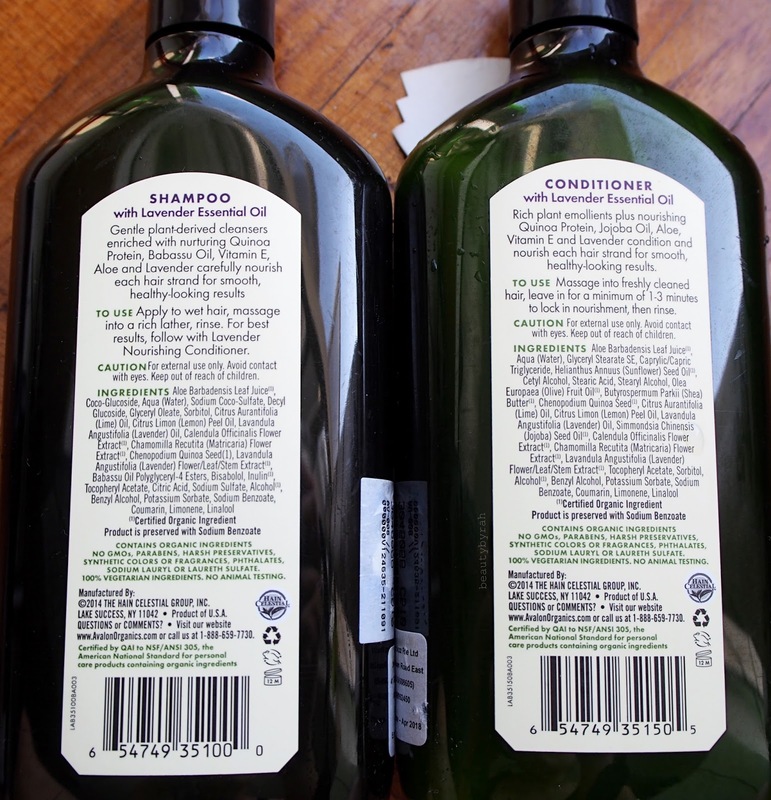 However, these shampoos do contain some chemicals and preservatives that may cause damage to your scalp and overall health in the long run (according to some scientific research). 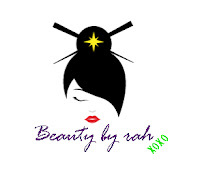 For example, Sodium Lauryl Sulfate is commonly found in shampoos as it is a surfactant, detergent and emulsifier. According to some research that I've done, this chemical alone could have negative effects such as irritation of the skin and eyes, organ toxicity and possible mutations and cancer to name a few. Pretty scary stuff, if you ask me. Of course, tons of studies have been dongotte and there is always two sides to a coin, so we need to take these information with a pinch of salt. Regardless, like organic food, it feels good knowing that you're using products that are organic. 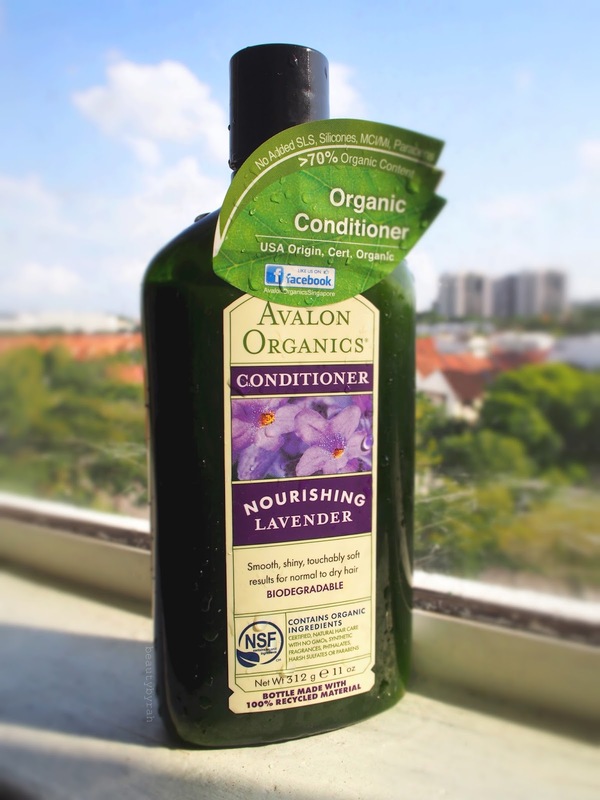 I was pretty excited to try out this Avalon Organics Lavender Shampoo and Conditioner set as it has probably been an extremely long time since I've used organic hair products (my mum tried switching to organic when I was really young but obviously, we gave up halfway). The Lavender range is meant for nourishing the scalp and for hair that is normal to dry. It contains lavender essential oil, quinoa protein, aloe, babassu oil (Brazilian palm oil) and Vitamin E.
The packaging is simple and neat. It comes in a bottle with no dispenser, so you have to flip it over to squeeze and dispense the product. The scent is definitely a favourite. I love all things lavender as it is so soothing and relaxing. Imagine dousing yourself in it after a long day at work. Bliss. One thing that stood out to me was the ingredients list. 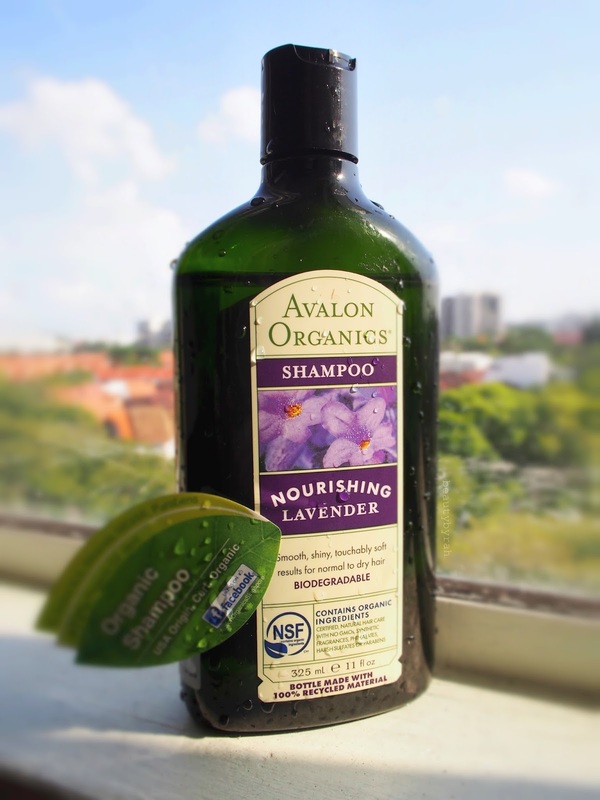 Now, many products can claim to be natural or organic as there are close to none/no federal regulations for beauty products (source). We got to read the ingredients list carefully. 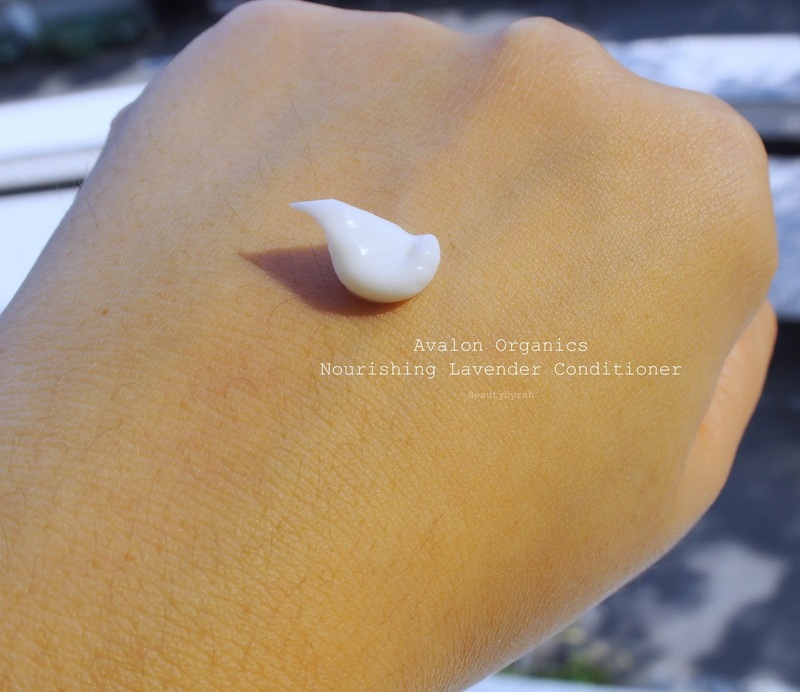 I did more research and turns out, Avalon Organics products are certified to the NSF/ANSI 305 Standard for Personal Care Products Containing Organic Ingredients or the USDA National Organic Program Standard (source). Let's take a look at the ingredients list. Aloe Barbadensis Leaf Juice(1), Aqua (Water), Glyceryl Stearate SE, Caprylic/Capric Triglyceride, Helianthus Annuus (Sunflower) Seed Oil(1), Cetyl Alcohol, Stearic Acid, Stearyl Alcohol, Olea Europaea (Olive) Fruit Oil(1), Butyrospermum Parkii (Shea) Butter(1), Chenopodium Quinoa Seed(1), Citrus Aurantifolia (Lime) Oil, Citrus Limon (Lemon) Peel Oil, Lavandula Angustifolia (Lavender) Oil, Simmondsia Chinensis (Jojoba) Seed Oil(1), Calendula Officinalis Flower Extract(1), Chamomilla Recutita (Matricaria) Flower Extract(1), Lavandula Angustifolia (Lavender) Flower/Leaf/Stem Extract(1), Tocopheryl Acetate, Sorbitol, Alcohol(1), Benzyl Alcohol, Potassium Sorbate, Sodium Benzoate, Coumarin, Limonene, Linalool. (1)Certified Organic Ingredient. In these hair care products, the first ingredient is Aloe Barbadensis Leaf Juice. Isn't that pretty cool? Everything else I've used always has water/aqua as the first ingredient so I'm definitely pretty pleased about this. There is also no parabens, harsh preservatives, synthetic fragrances and colourings, phthalates (gotta be honest here, I'm not sure what this is), and sodium lauryl or laureth sulfate. It contains 100% vegetarian ingredients and 70% of that being organic. I am no expert in organic hair care so I can't pass any judgement on that, but 70% seems to be a good amount for me. 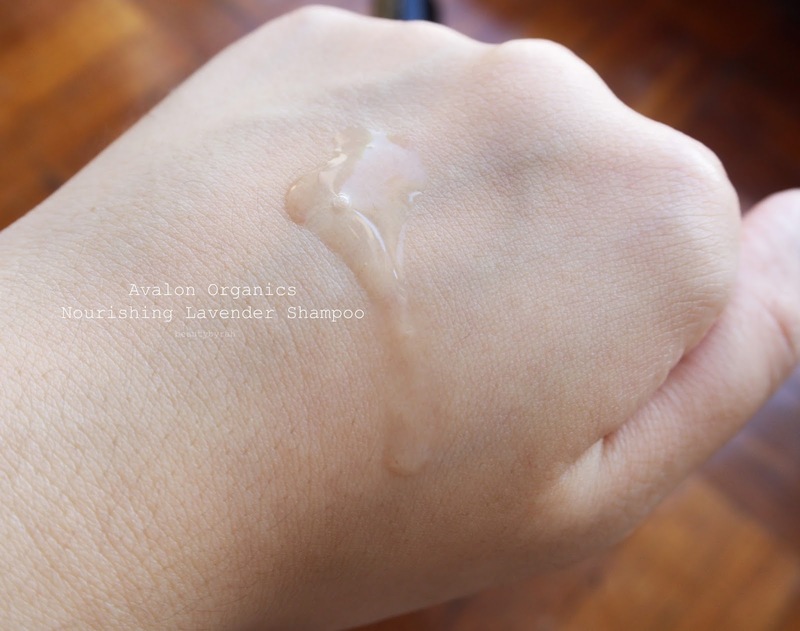 The shampoo is a clear gel with pretty low viscosity. It flows fairly easily out of the squeeze bottle without you having to work your biceps. I do find that it lathers less than the typical shampoos - and it should be the case - due to the lack of sodium lauryl sulfate which is also a foaming agent. Thus, more work needs to be done to get my head of hair fully covered with shampoo and foam. It may just be me, but I do feel cleaner when there is foam - is it just me? After washing off the shampoo, my hair does feel clean (it feels similar to that of using a clarifying shampoo where my hair strands would stick together and a conditioner is a must). It does tangle up though, so I have to use a conditioner in my routine. The conditioner has a much creamer texture than most I've tried. It is pretty dense, so I had to really squeeze the bottle to dispense the product. I apply it to my hair and chill for a good minute or two before rinsing it off. This does a good job in detangling my hair and leaving it feeling moisturised (but not oily). I've been using this combo for a good 3 weeks or so now, and I have been enjoying it so far. My hair feels fresh and clean and it looks shiny and healthy. I can't say that I have seen anything amazing happening to my scalp or hair. Then again, it probably would be the case as organic products are meant to benefit us by the lack of harsh and harmful chemicals, rather than having mind-blowing results in terms of hair texture. 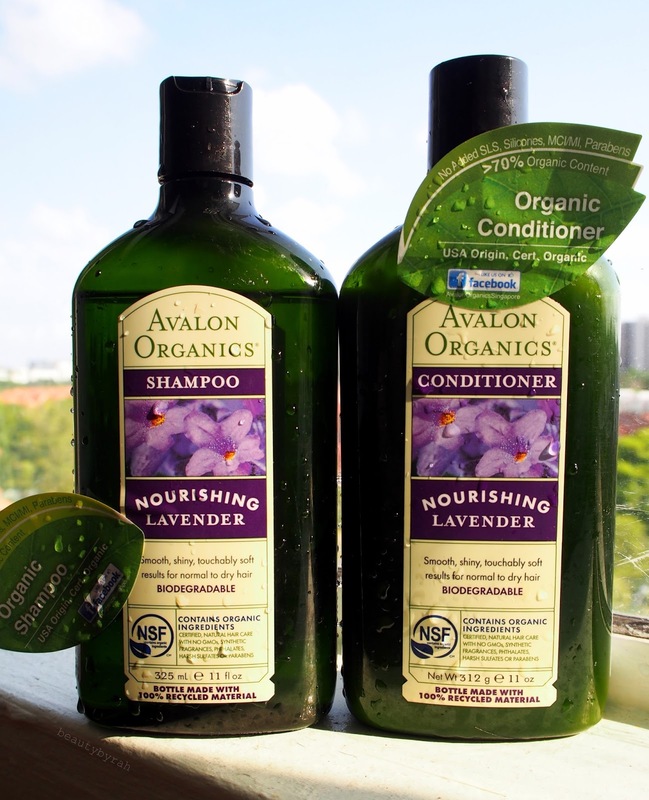 Overall, I do enjoy this combo of Avalon Organics Nourishing Lavender Shampoo and Conditioner. I do not think that I am a total convert to organic products (even though the research I've done has scared me quite a bit) but I'm pretty intrigued on the Volumising Rosemary set, so I'll probably try that out next! The shampoo and conditioner retails for SGD $13.90each (325 ml) which you can get here! They are also available in 946ml, retailing at SGD $25.90 each. Thank you to Smoochiezz for giving me the opportunity to try these products out! Hope the review helped you in some way and thanks for dropping by! Xo.